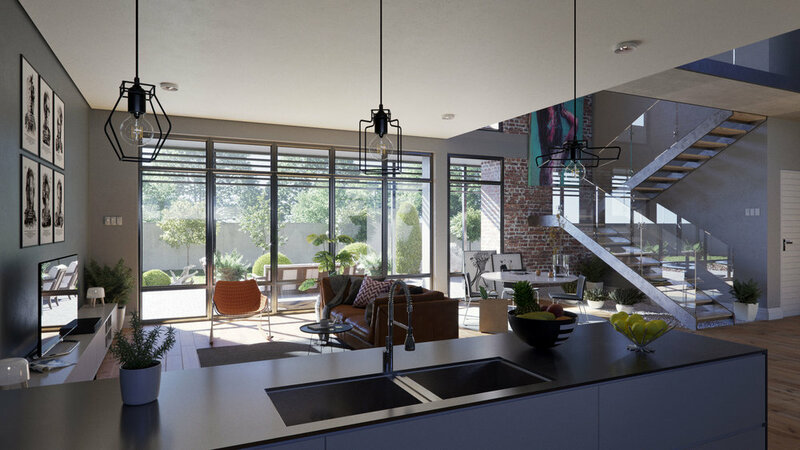 This estate home designed to be “net-zero” lies in a upmarket estate in Free State, Bloemfontein. Situated in a master-planned resort community, the house blends sustainable modern architecture with classic architectural materials. 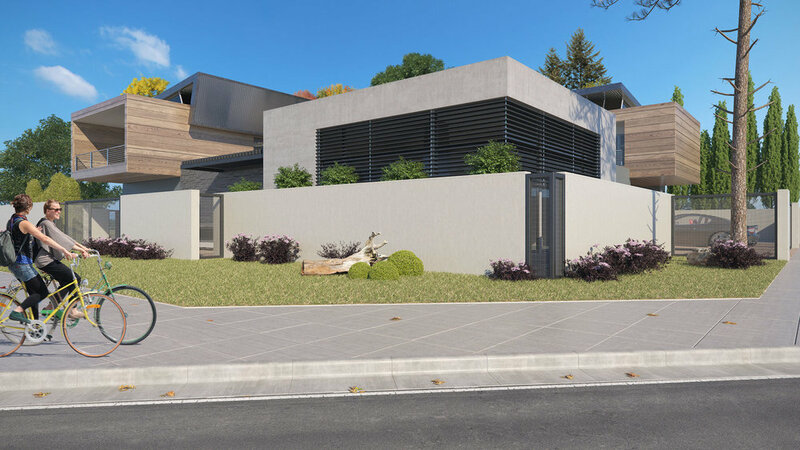 This proposed new dwelling is located within an security golf estate in the Northern Cape. Its tranquil setting offers an unique approach on the traditional Tuscan approach. The bedrooms are fitted with walls of glass overlooking the estate. Step out on the private balcony and you just might catch a glimpse of the numerous wildlife in the surrounding areas. Built in the countryside outside of Kimberley, Northern Cape, House Zweli is a generational family retreat. The property is surrounded by a rustic landscape of fynbos and thorn trees. Although the home is very modern in design, a neutral material palette is meant to blend its unconventional form into the environment. Internally, concrete walls are met with metal trusses. 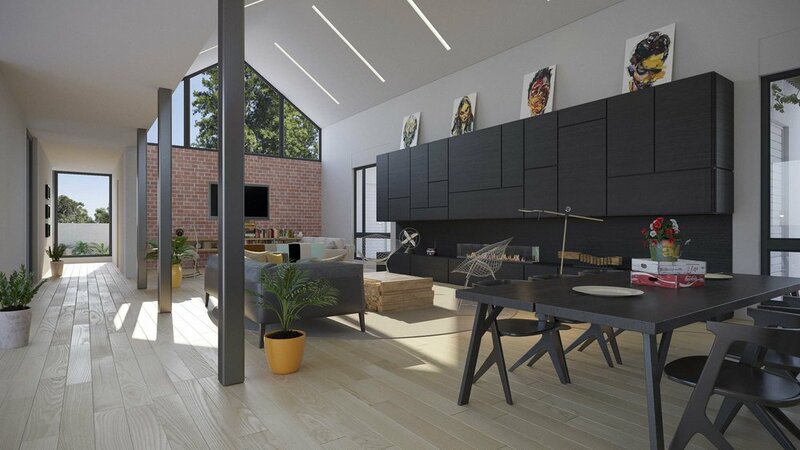 The open, double-height space is afforded views of the local scenery through a wall of glazing. These glass panels fold open to create a seamless connection with the outdoors. While there is a bedroom below for grandparents, a staircase leads to an upper-level master. The cantilevered room is capped by a wall of windows, drawing inhabitants out to a balcony. Clad in a mixture of wood and concrete, house Mario is a tribute to its natural setting. 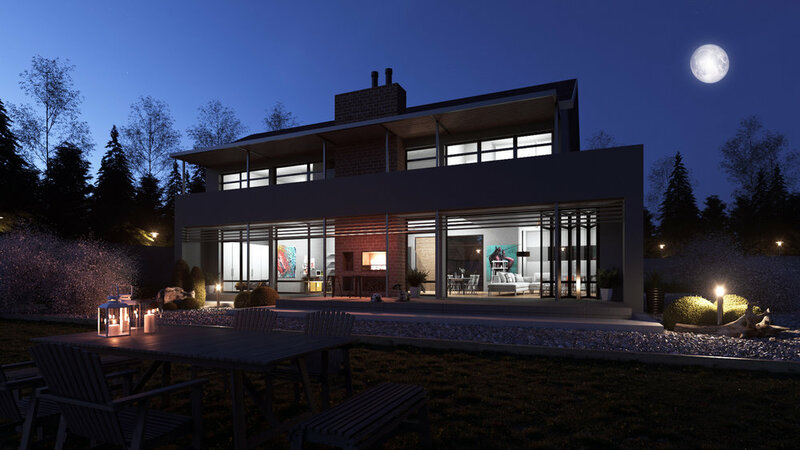 The home is situated in a modern new development complimenting its contemporary modernistic approach. A pair of timber boxes is perched above the landscape on a sandstone ground floor. The upper level extends out past the living area and cantilevers over a stone retaining wall. This design allows the structure to float above the terrain for minimal disruption while also creating a series of sheltered terraces overlooking the the busy suburbia below. Formed by three intersecting gabled structures, House Hancke is inspired by the barns found throughout its South African origin. Brick chimneys and zinc cladding further enhance the exterior Karoo aesthetic. Internally, the home is divided between two wings joined by the main living area. Rustic materials are used in a modern way to form an overall contemporary interior. Inset into a series of perfect scimmed cables, a wall of windows afford views of the surrounding areas. When open, the glazing leads to an outdoor terrace overlooking an eloquent pool and entertainment area.